Hurlbert disagreed Michael Davitt’s agrarian agitation, but he respected the activist, whom he interviewed. 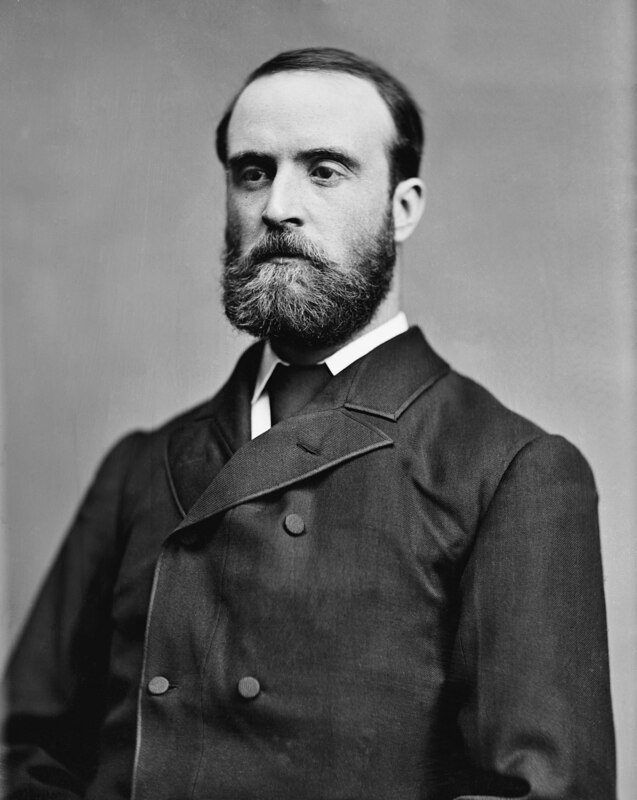 The American reporter had nothing but contempt for Charles Steward Parnell, leader of the Irish Parliamentary Party, whom he had observed for a decade, but does not appear to have met. This should not have surprised Hurlbert. Political leaders frequently vary their messages for foreign and domestic consumption, and often carefully calculate their rhetoric even within constituencies. Hurlbert was editor of the New York World when Parnell arrived in the city on New Year’s Day, 1880, as the Land War heated in Ireland. Over the next three months, Parnell made a 62-city tour of the United States and Canada that raised over $300,000 in tenant relief. It was considered so successful that supporter Timothy Healy proclaimed Parnell the “uncrowned king” of Ireland as they sailed home. The nickname held. In his 1888 book, Hurlbert tried to recast Parnell’s visit. 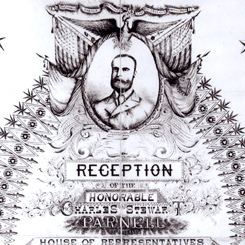 He suggested the M.P.’s first U.S. interview “made on the whole an unfavorable impression in America.” Further, it was only because Davitt and leaders of Irish organizations in America “came to the rescue” that Parnell achieved any success, including his “off day” visit to the U.S. House of Representatives. “His tour, however, on the whole, harmed more than it helped the new Irish movement on my side of the Atlantic,” Hurlbert wrote. Curiously, Hurlbert never mentioned the “Parnellism and Crime” series published by The Times of London a year before his trip to Ireland. The series implicated Parnell in the Phoenix Park murders of 1882. As he traveled during the first half of 1888, momentum was building for a special commission to investigate the Times‘ report, which Parnell and his supporters claimed was based on a forged letters. Parnell was vindicated in 1889 by the special commission, which exposed the forged letters. He enjoyed a brief period of triumph. But the Parnellite party splintered the following year when the leader became embroiled in a famous divorce case. Personal behavior, not political tactics, caused his downfall. Parnell died at the end of 1891, age 45. 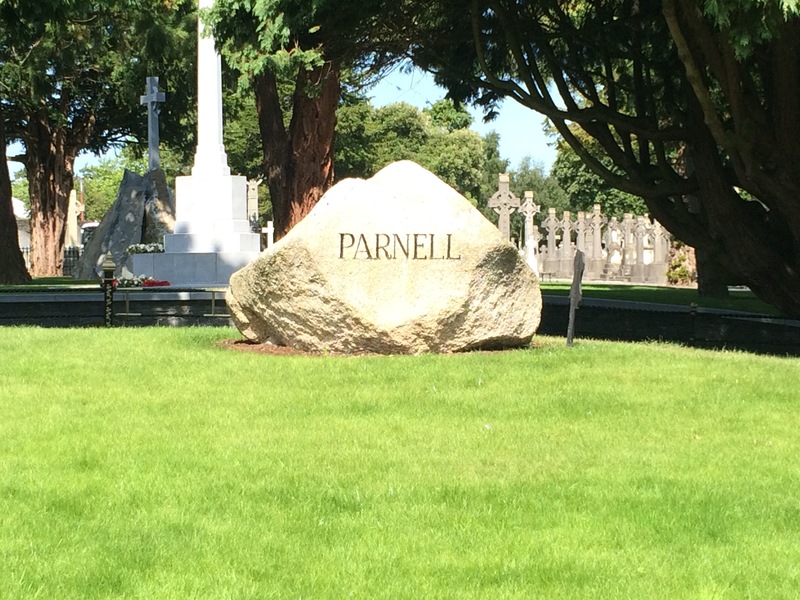 Parnell’s grave at Glasnevin Cemetery, Dublin, July 2016. NOTES: From pages 161 (top quote), 39, 18 and xi of Ireland Under Coercion: The Diary of an American. Pages 186 and 191 of A secession crisis enigma : William Henry Hurlbert and “The diary of a public man, by Daniel W. Crofts, LSU Press, 2010. Also, “Anointing the ‘Uncrowned King of Ireland”: Charles Stewart Parnell’s 1880 American Tour and the Creation of a Transatlantic Land League Movement,” by Ely M. Janis, in German Historical Institute Bulletin Supplement 5, 2008. This entry was posted in History, Irish America, IUC, Revisted, Journalism, Politics and tagged Charles Stewart Parnell, Home Rule, Special Commission, Timothy Healy on May 13, 2018 by admin.